Journalist best known for his work as an anchor for Nightline and Good Morning as well as a correspondent for ABC News. In 2009, he won an Emmy for his child trafficking piece "How to Buy a Child in Ten Hours," which aired on Nightline. 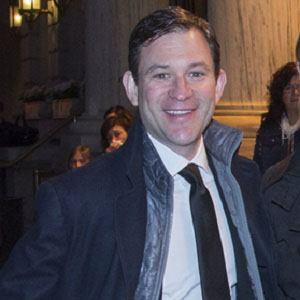 He was born in Newton, Massachusetts and graduated from Colby College in 1993. His career as a news anchor began when he landed a job at the NBC affiliate WLBZ in Bangor, Maine. His first book, 10% Happier: How I Tamed the Voice in My Head, Reduced Stress Without Losing My Edge, and Found Self-Help That Really Works — a True Story, was published in 2014. He married Dr. Bianca Harris and has a son named Alexander, born in December 2014. He and Juju Chang are both known for their appearances on Nightline.